We asked acclaimed chef Daniel Bouloud which meals he'd traverse the globe to eat. Patrick O'Connell is the ultimate host. He is charming, humorous, and uniquely creative in the way he celebrates regional American cooking. 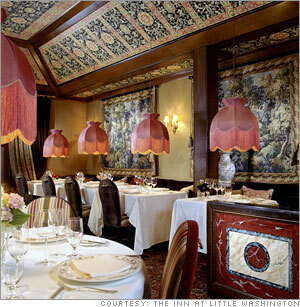 Patrick has also been an incredible force in making a name for Relais & Châteaux in America. The Inn really represents what a wonderful Relais experience is about. Go for the rabbit wrapped in pancetta.